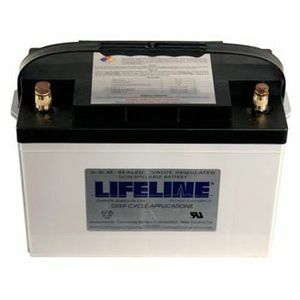 Good battery, replacing same in the boat after many years service. Expensive but....very satisfied , replaces Lifeline marine engine starter battery fitted 15 years ago. Very prompt delivery by Tayna. EXCELLENT SERVICE ORDERED AND DELIVERED IN LESS THAN 24 HOURS. Great deal! ordered on Sunday, delivered on Thursday to AUSTRIA. Properly packed. SUPER! Bestellt am Sonntag, nach Österreich am Donnerstag geliefert. Sehr gut verpackt. Excellent Battery and first class service.